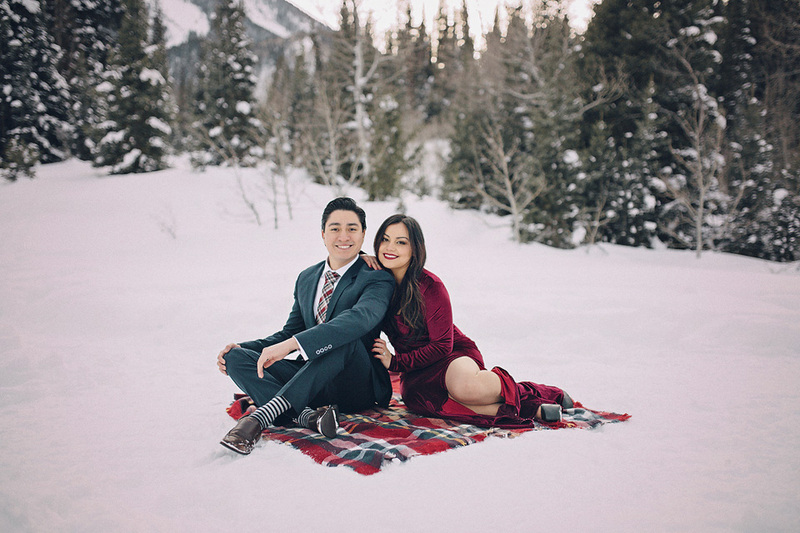 I had so much fun with Pete and Mariza! 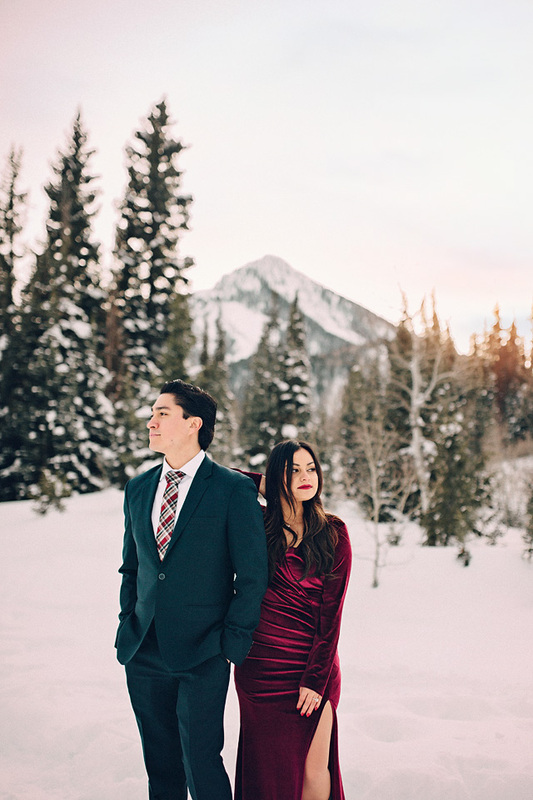 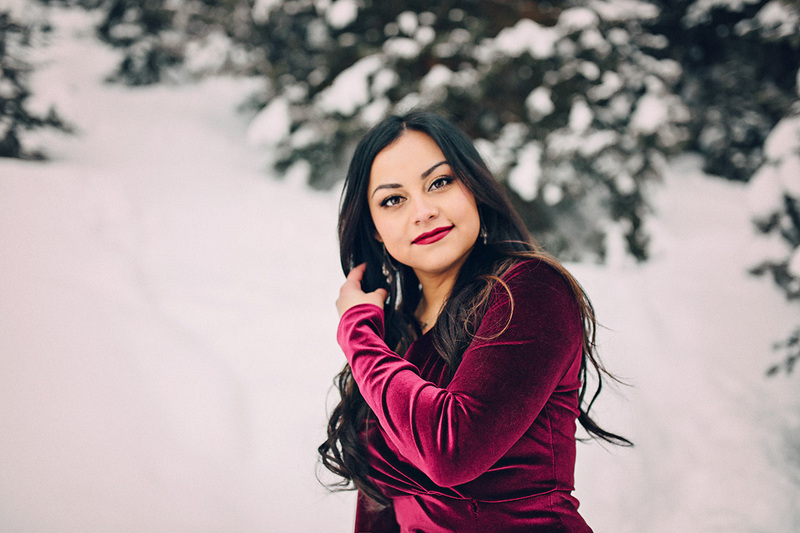 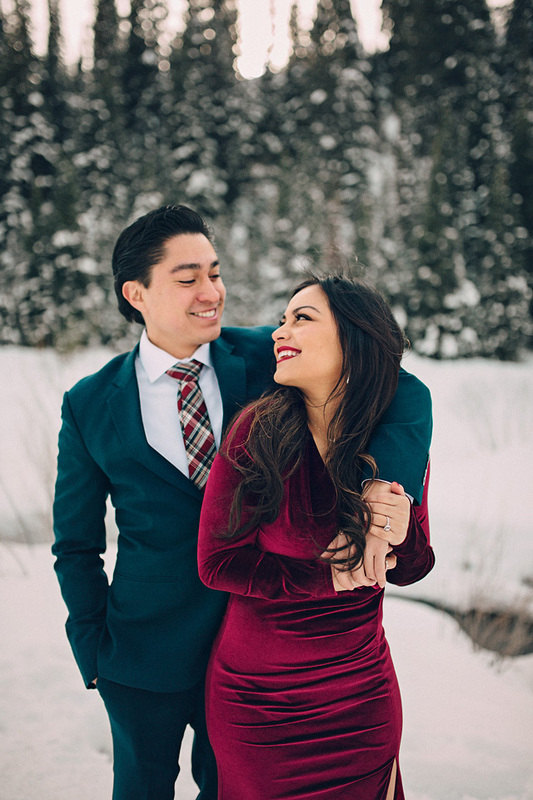 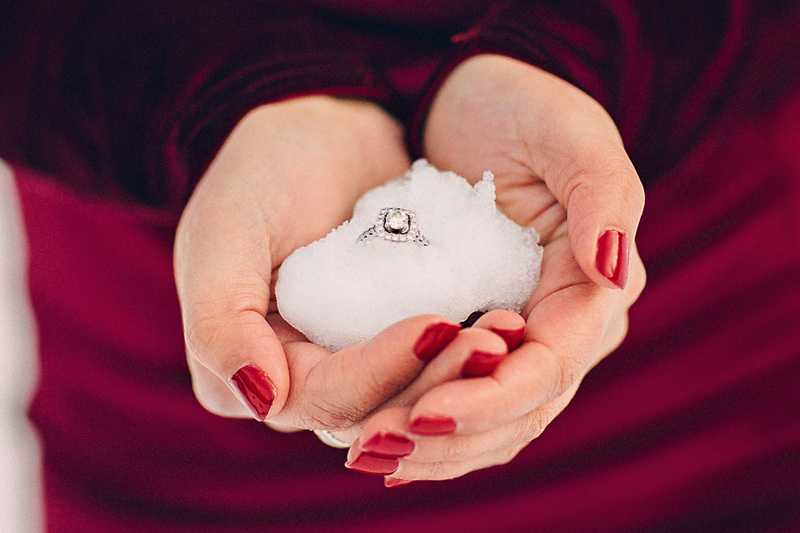 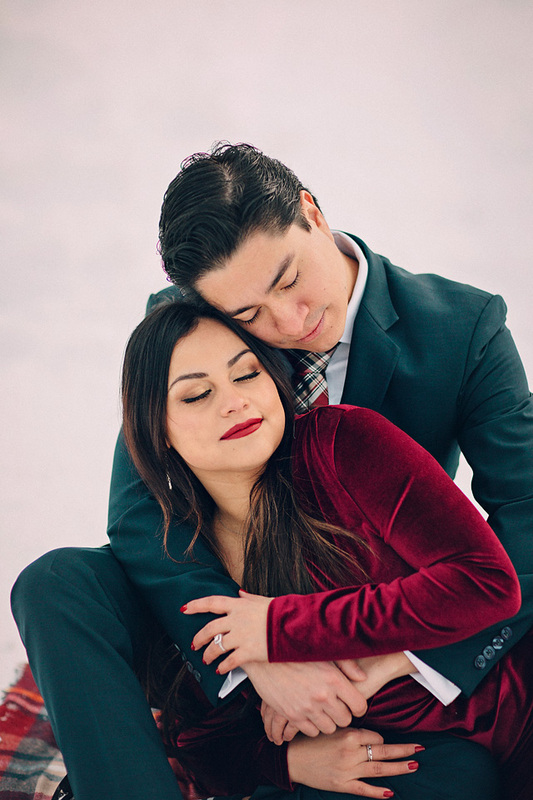 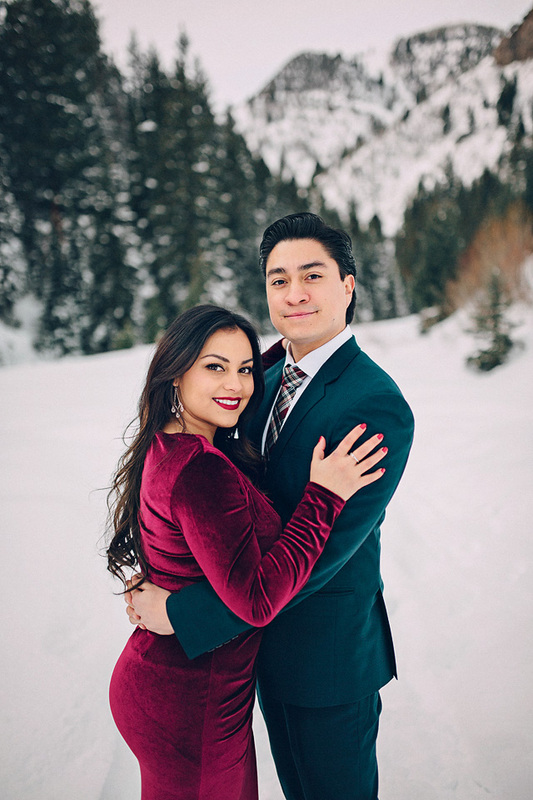 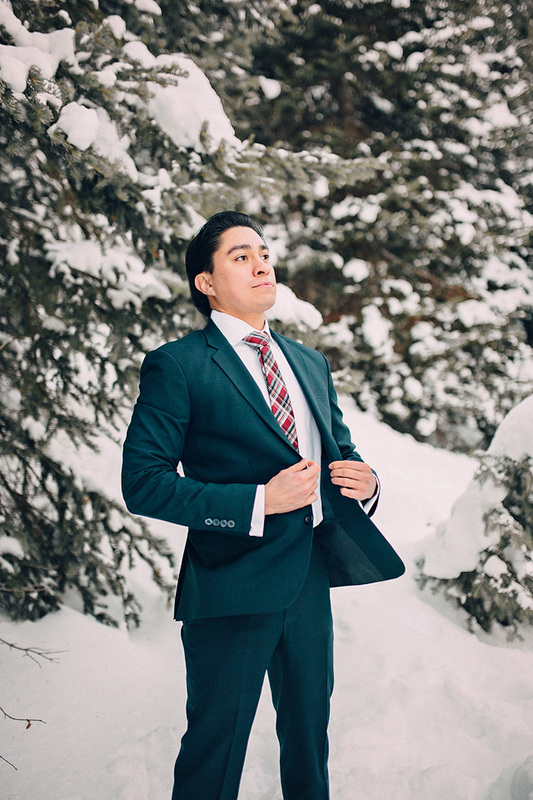 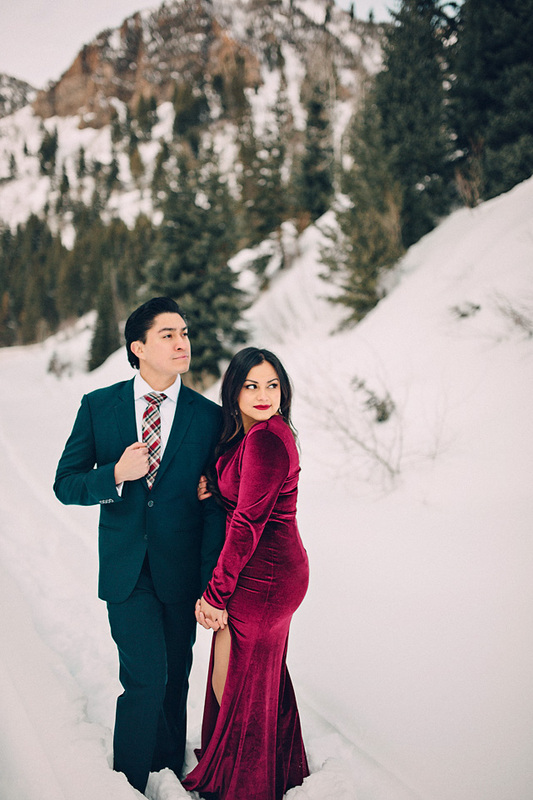 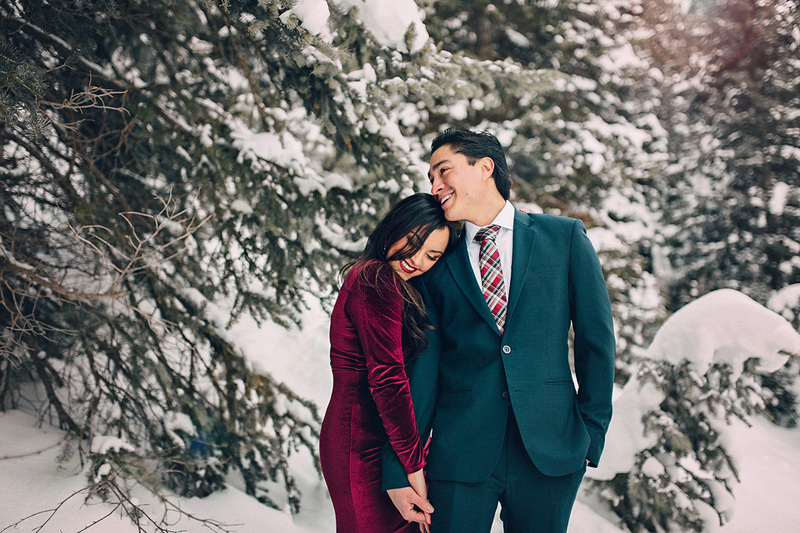 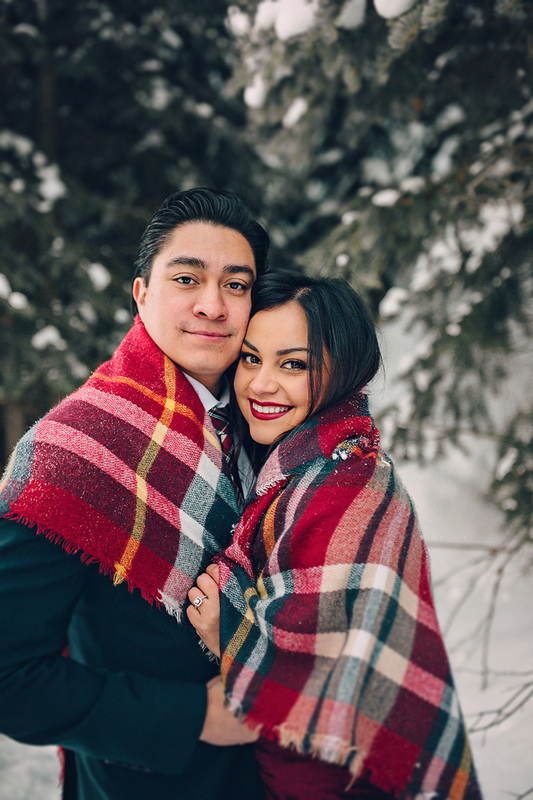 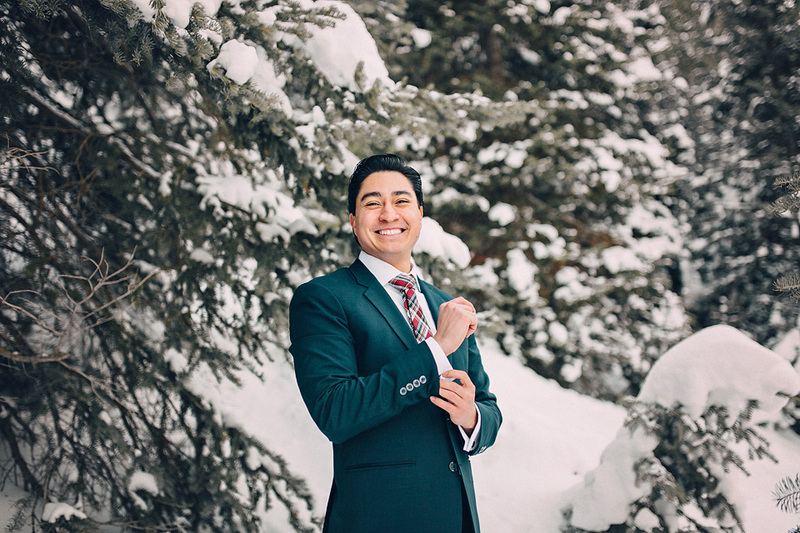 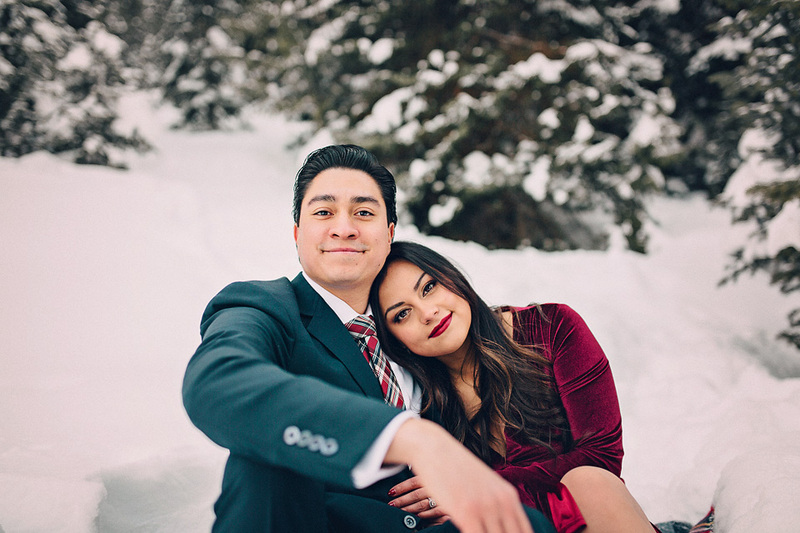 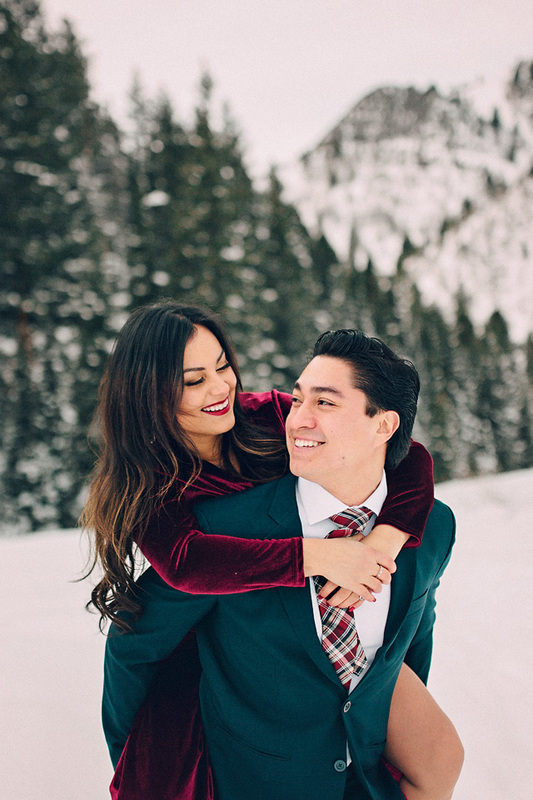 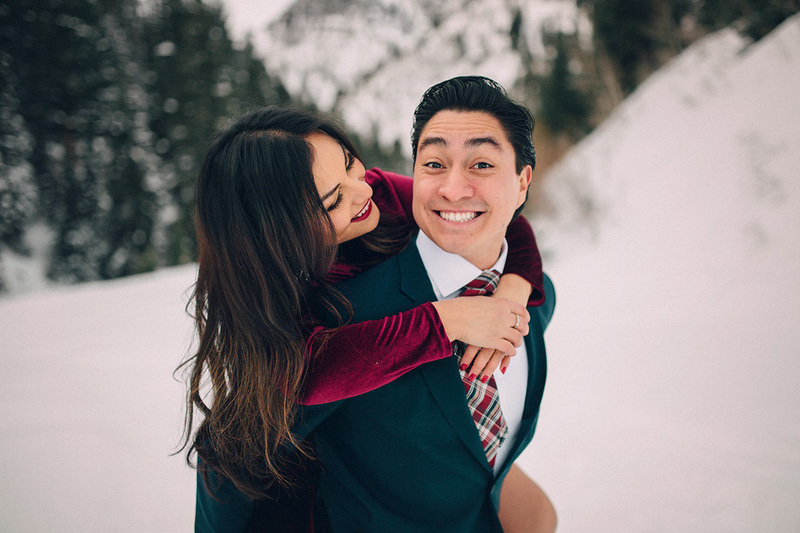 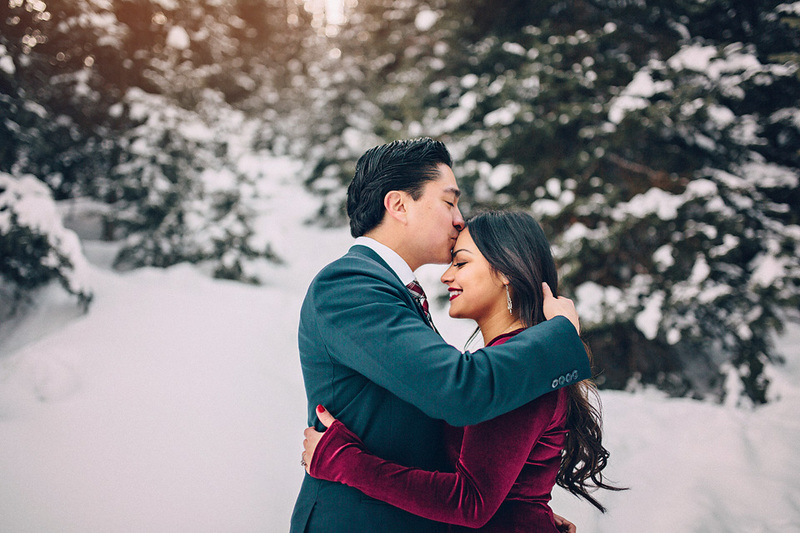 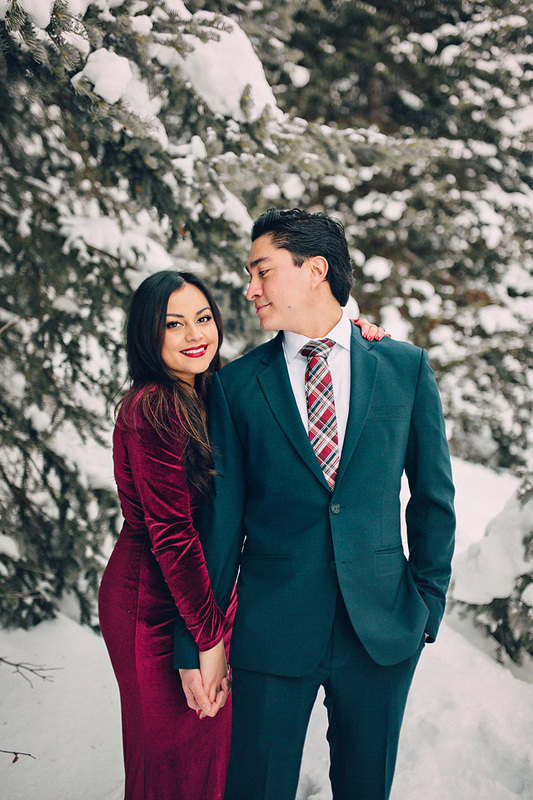 They were willing to trek through the knee deep snow for some uhhmazing photos, I really wish that we had someone there to document us behind the scenes! 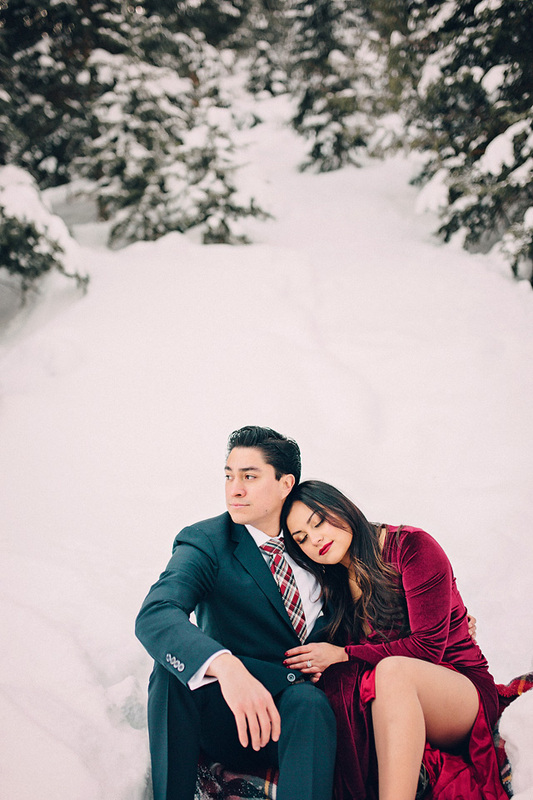 We kept sinking and falling into the snow. 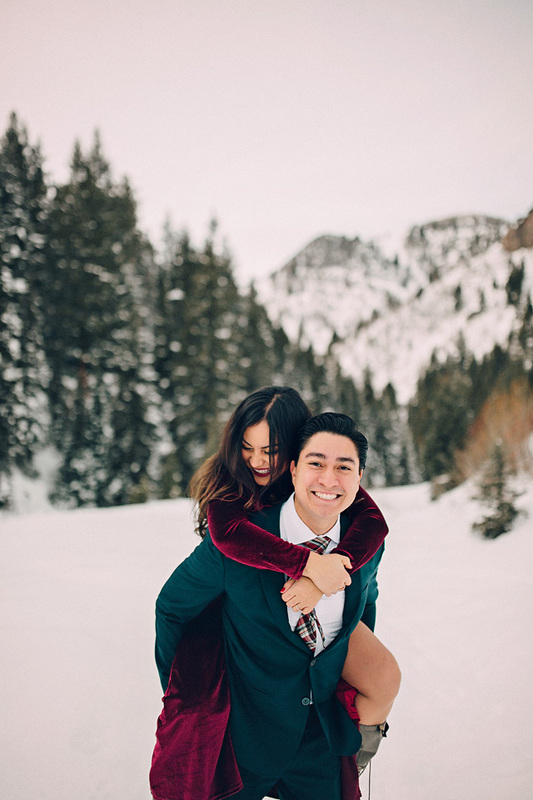 Poor Pete just had his dress shoes on, he might as well had on ice skates. 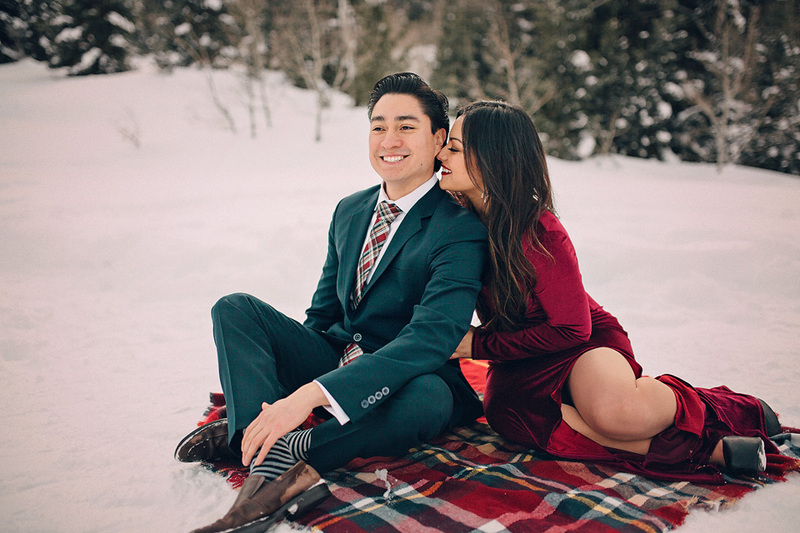 They would have had better traction. 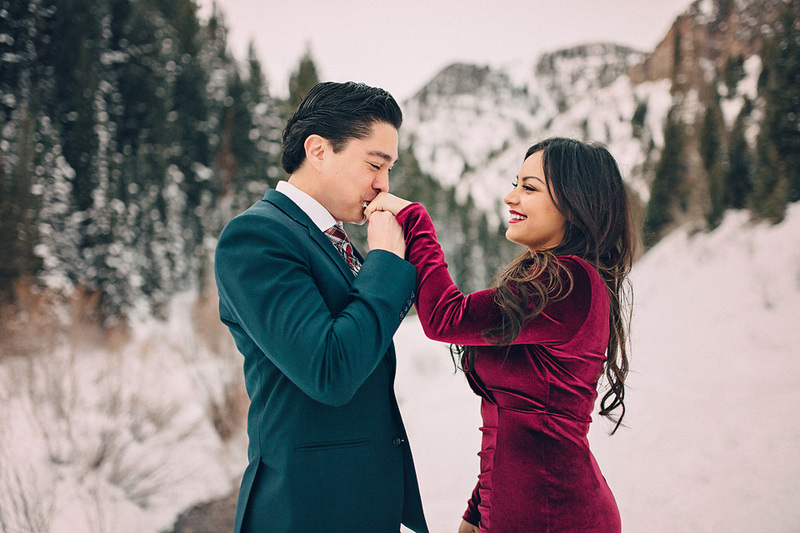 But they stuck it out and I'm so glad they did. 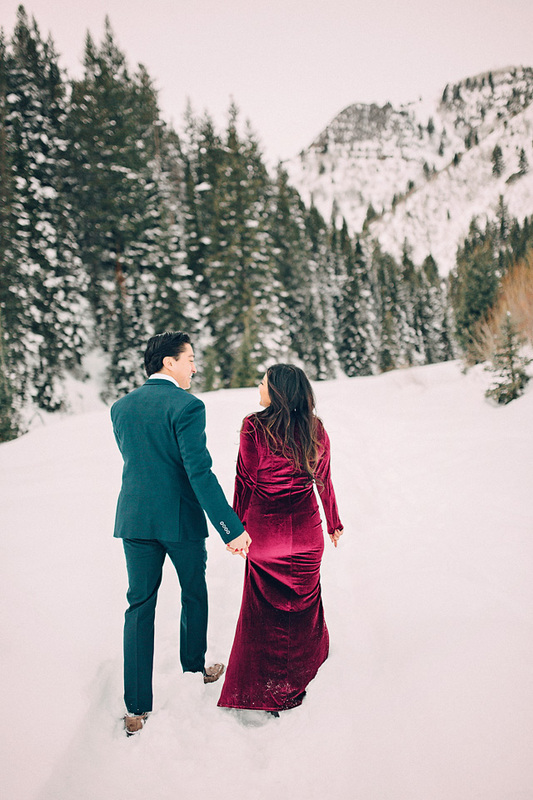 Mariza's dress is sooo gorgeous I love how the velvet caught the lighting, the colors they chose complimented the snowy pine filled scenery perfectly! 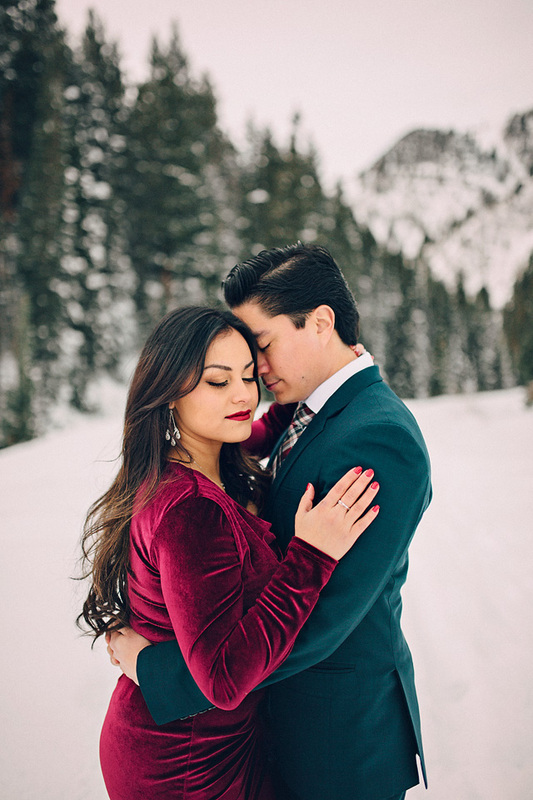 I'm really not a fan of the cold, but the snow sure is beautiful. 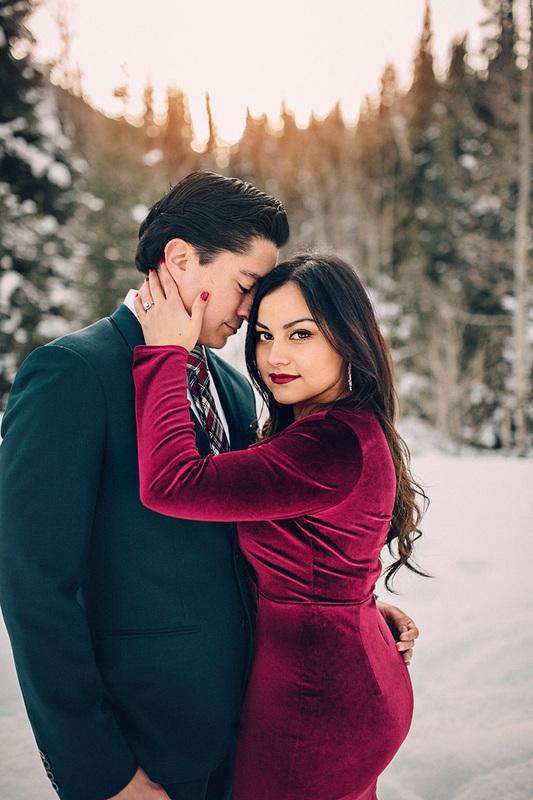 I can not wait to shoot their wedding this June, I'm certain that it's going to be gorgeous and full of love and laughs.